The landscape history of North-East England has not been studied as much as other parts of the country. This book begins to fill this gap by utilizing Actor-Network Theory (ANT) to re-assess the familiar topics of enclosure and improvement. It reveals the contribution of local 'actors' – including landowners, tenants and the landscape itself – to these 'processes'. 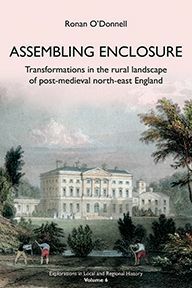 In so doing it transforms our understanding of the way in which the landscape of Northumberland was created during the eighteenth and nineteenth centuries and carries wider implications for how we might approach enclosure in other parts of the country. 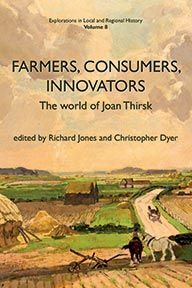 For the first time, the case studies in this book break enclosure down into its constituent processes – the abolition of common rights, the creation of ring-fence farms, the rearrangement of land-use patterns, settlement dispersal, and agricultural improvement. Each is examined in detail, showing them to be the product of particular 'assemblages' of local circumstances rather than the inevitable outcomes of enclosure itself. 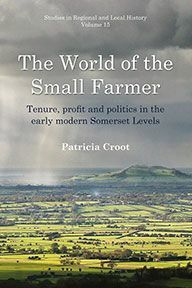 The important role played by tenant farmers is also highlighted for the first time. 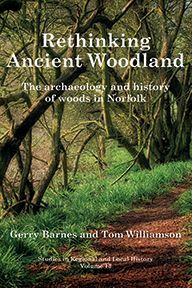 In providing new insights into old problems, and as a testing-ground for a new approach, the book will be of interest to landscape historians, but will also interest social historians and archaeologists more generally. ANT is an analytical tool used in a wide range of fields, to explore the relational ties within the networks of which our world consists. In ANT 'actors' include both humans and non-human, and indeed non-material, objects. The theory attempts to explain how actors in a network take the shape that they do by virtue of their relations with one another. 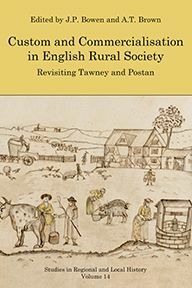 Making use of rich archival sources, particularly the estate papers of the Greys of Howick and Howards of Naworth, Ronan O'Donnell reconstructs changes to the landscapes of five townships (Learmouth, Milfield, Howick, Longhorsley and Elsdon) in unprecedented detail. In doing so, he is able to demonstrate that many events often attributed to enclosure, such as farm consolidation and agricultural improvement, were in fact more complex processes contingent upon local conditions and which occurred on both sides of enclosure events. Ronan O'Donnell has a doctorate from the University of Durham, having gained a BSc in Archaeology from Durham and an MA in English Local History from the University of Leicester. His interests focus on the relationship between global and local process and the implications of changes to systems of land tenure.